Congratulations Dani! You were “lucky number 20!” Thank for sharing your favorite fictional couple with us. 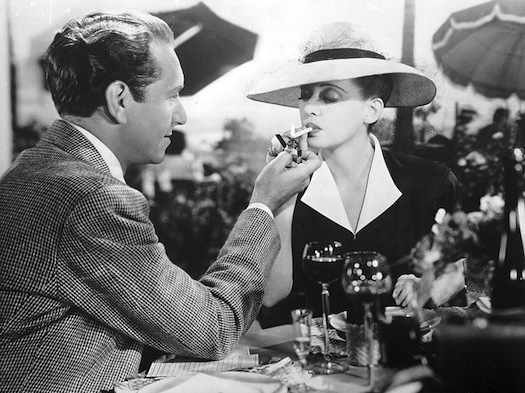 You took me all the way back to college and my Psychology in Cinema class with your reference to Charlotte Vale and Jeremiah Duvaux Durrance in Now, Voyager! Now I really want to see it again. Good thing the DVD is available on Netflix! For those of you that didn’t win the Eat Boutique themed gift box there’s still time to order one for your Valentine. Thank you to everyone for participating and be sure to stay tuned! There are always more giveaways in the works. In addition, if you haven’t already done so, please consider becoming a fan of Erin Cooks on Facebook and you can always follow my random ramblings on Twitter via @GirlieErin. Boo! I mean… Congratulations to Dani! Thank YOU, Erin! I’m tickled pink!